Track season is a go! 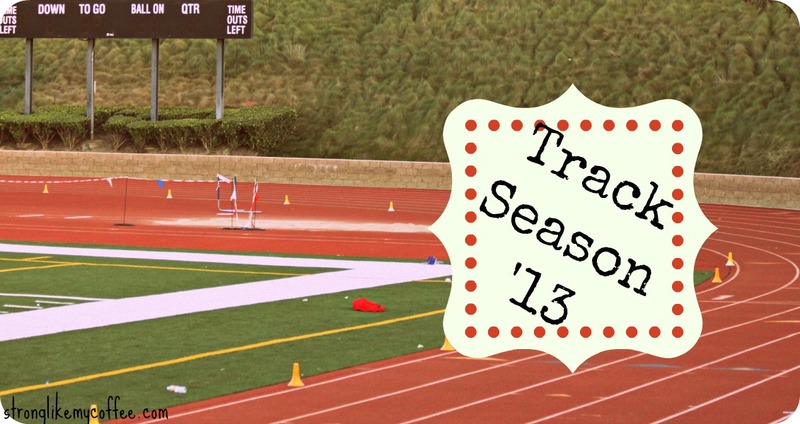 After missing my entire cross country season due to my July surgery, I was adamant that my December surgery would not do the same to my second collegiate track season. One year ago I had a taste of what it felt like to travel to the NCAA Division 1 Conference Championships and I’ve been hungry for more ever since. Yesterday I traded out my easy run for my first track workout in a very long time. So basically, I am six weeks out from surgery. Surgery on the face is tricky….the swelling is unpredictable, and in my case, slooooow to go away. According to my doctors, heavy exercise will delay progress and cause swelling to take longer to subside. But since there is no pain when I run, I’ve decided (with their permission) to just go for it this track season and let the swelling/healing do its thing, delayed or not. I just can’t stand the thought of sitting out another season! The Workout: Mile Repeats on the track at Tempo Pace: lactate threshold; running at a comfortably hard pace, around 15-30 seconds per mile slower than race pace. In the peak of training, my Tempo Runs would be in the 5:50 minute/mile range but over the last 7 months I have run for 8 weeks cumulatively and need to ease back into it. My coach gave me the goal pace of 7 minutes. Nothing too serious or stressful, just comfortable. 3 x 1 mile tempo with 90 seconds rest in between. Once on the track, I don’t even know what goes through my brain. I can never remember what I think about during workouts or races; but before I knew it, the first mile was done in 6:45 and I felt GREAT. Like I could’ve gone a minute faster. I was excited for two more. Coach said to keep the next one between 6:45 and 7:00 so I hit 6:50. Another conservative effort that left me with plenty of energy for one more. Last one was about 6:40 and I finished knowing that this was going to be a good season. I felt strong, not tired. My breathing was really controlled. I’m excited for some quicker sprints later today, and some 300 meter intervals on Friday. Posted on January 23, 2013, in College, Fitness, Real Life Stuff and tagged exercise, fitness, running, Track, Workout. Bookmark the permalink. 5 Comments. thank you for your motivation! -lex.